in App Reviews, Featured, Upcoming, What's new? Back in June the developers behind Angry Birds Rovio teased a brand new game like nothing they have released before called Angry Birds GO. The company on Tuesday posted a video to YouTube teasing a new kart-racing game, calledAngry Birds Go. The video didn’t provide any in-game footage, but teased what gamers might expect from the title when it’s eventually released. From the sound (and looks) of things this brand new mobile game will be all about racing. At first many thought it could be an endless runner, and Rovio teases about that in the video released this afternoon. However, they don’t want to follow in Temple Run footsteps, they want to burn rubber down their own road. Although there is absolutely no info to go by, the new Angry Birds game is most probably a racing game, as evidenced by their teaser site. With the previous Angry Birds games being absolute hits out the door, we have no doubt this one will be too. When it comes out is anyone’s guess, but it will likely have tons of challenges (as per every other Angry Birds game), levels, and characters. The Angry Birds franchise has expanded into a massive money grabber for their developer Rovio, who has seen sales of everything from plushies, to books, to pencils. 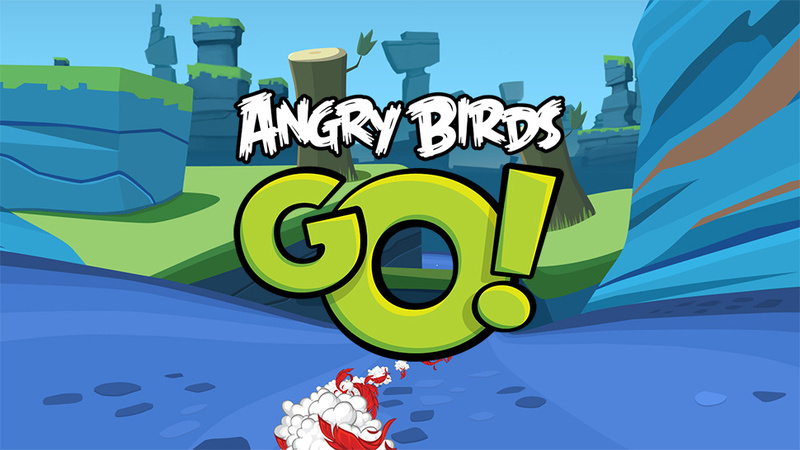 Angry Birds Go will be a Red Bull-sponsored game, which will add to the caffeinated beverage maker’s Red Bull Kart mobile games. Rovio promised more details on release and gameplay coming soon. Nokia Asha 502 & Asha 503 3G budget phone coming soon !